That day – the anniversary day of the death of famous Spanish nature film maker Félix Rodríguez de la Fuente who succumbed in a plane crash in Alaska in 1980 – will be for ever noted in the history of Western Iberia. 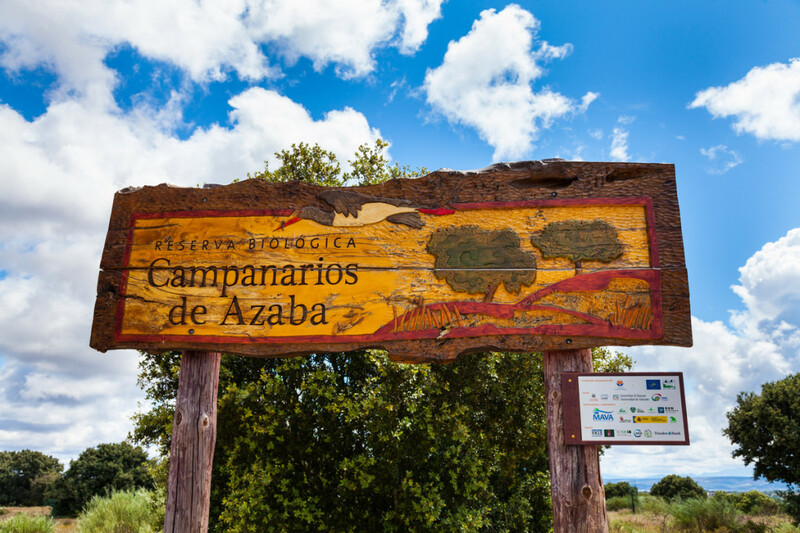 One of the main reasons the Campanarios de Azaba Reserve was created by Fundación Naturaleza y Hombre in 2009 was to try to bring back this emblematic flagship eagle species, the National bird of Spain, to this vast ocean of holm oak and other oak trees. This eagle species once went extinct in this area because of persecution from humans over the decades. The Iberian imperial eagle – together with the Iberian lynx one of the most treasured natural jewels in this area,–was accompanied by the local couple of short-toed eagles. Freshly arrived from Africa, these begun their breeding flight acrobatics in the reserve where they have been nesting over the last years. But they are not alone in the skies here, on the contrary it is full of raptors, the area being one of Europe’s richest in raptor diversity. The also endangered black, griffon and Egyptian vultures dot the skies over the Dehesa savannah woodlands here and come down like meteors to carcasses that we leave out for them, To feed them with safe food, but also to be able to show them to our visitors, who can now watch and photograph these fantastic birds at very close distance from the hides specifically built here for that purpose. Sometimes also golden eagles show up and hundreds of red kites and black kites, who don’t spurn a carcass when the hunger nags them. 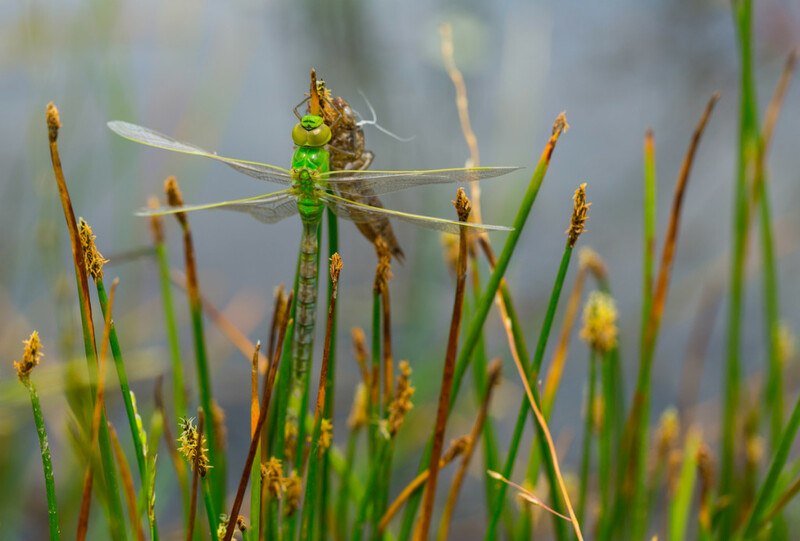 The birds are singing, the ponds are fully blanketed with white ranunculus flowers, and the aquatic insects, as well as the freshwater pond turtles all tell us that Spring has arrived in Western Iberia, before the calendar does. The blue skies and the radiant sun that flood the Spring days here invite all living beings to start their reproductive cycle and during the coming weeks the explosion of life will happen again. The reproductive cycle of wild animals, even being expected, never stops to amaze and dazzle us, once again, because of its intense display of beauty and harmony. The sound of the night is filled with the infinite choirs of amphibians and insects, interrupted only by the occasional hoots from the tawny owl and the songs of nightingales and other nocturnal birds. This and the symphony of fragrances which is distilled by the flower explosion of the Mediterranean ecosystems at dusk, remain forever engraved in the memory of all who have ever had the chance to experience them. The hoopoe’s repetitive call, the blue glimpses from the wing patches of the lively Azure-winged magpies, and the multi-coloured shine from the bee-eaters are waiting for you in Southern Europe. In order to help you to witness this fantastic beauty, Fundación Naturaleza y Hombre and Rewilding Europe have now prepared a set of great itineraries, and some very well located hides, to bring wildlife closer to the visitor and make it possible for you to enjoy a really unique, close-encounter experience. You will see them soon on Rewilding Europe’s website.